Wrangle Unlimited Excitement & Adventure! The Jeep Wrangler Unlimited is your ticket to adventure in Jacksonville, TX. It has everything you need to take your fun off or on road. Let Palestine Chrysler Dodge Jeep RAM FIAT show you the Wrangler Unlimited today. If you have ever craved off-road adventure then now is the time to find a better way to accomplish your off-road dreams. The Jeep Wrangler Unlimited gives you the capacity to play hard wherever you choose. You set the limits. It’s up to you. Palestine Chrysler Dodge Jeep RAM FIAT is your premier destination to test-drive the popular Jeep Wrangler Unlimited. Not every adventure happens on the pavement. Sometimes you want to be able to take your fun off-road. The Jeep Wrangler Unlimited gives you all the tools you need to take your adventure off-road for maximum fun and pure adrenaline. You can take the Wrangler Unlimited to the snow, over the rock, on the sand, or in the mud and have all the traction you need to play hard. You can even take the Wrangler Unlimited in up to 30 inches of water thanks to the high air intake that gives you the flexibility to ford through small waterways. The amazing amount of ground clearance means you can take your Wrangler Unlimited over larger rocks with ease so you can out crawl the competition. Choose from Command-Trac or Rock-Trac 4×4 Systems and get the off-road capability you really need. You can take command of your off-road experience when you choose the Wrangler Unlimited and we have yours in stock at Palestine Chrysler Dodge Jeep RAM FIAT. Of course, you want your Jeep Wrangler Unlimited to be tough and rugged on the exterior so you can play hard on and off of the road, but you need it to accommodate your comfort inside when you are ready to drive home. The Wrangler Unlimited gives you everything you need to make the drive home the most comfortable one yet. After you are done playing outside, climb inside and feel the warmth of the heated leather seats that warm and contour your body to envelop you in comfort. You can even use the Remote Start feature to ensure your Wrangler Unlimited is the perfect temperature before you climb inside for a better ride every time. When you get home, the Wrangler Unlimited makes cleanup a breeze thanks to the washable interior with plug drains that allow you to simply hose out the mess so you are ready for the next adventure. See these features and more at Palestine Chrysler Dodge Jeep RAM FIAT today. Whether you are heading out to work or you are getting ready to hit the road for adventure, you want to know that you have the technology you need to make the drive more enjoyable and convenient too. The Jeep Wrangler Unlimited is packed with smart technology to enhance your drive and make it more delightful too. The Uconnect Infotainment System is your gateway to the technology you need in one convenient location. You can get turn-by-turn directions to your destination with real-time traffic updates so you always arrive on time no matter where you are going. You can stream your favorite music from your smart devices or listen to the many options available inside of the Wrangler Unlimited. The steering wheel mounted audio controls make it easy to flip through the stations too. Let our experts show you these features and more when you stop by and see us at Palestine Chrysler Dodge Jeep RAM FIAT. 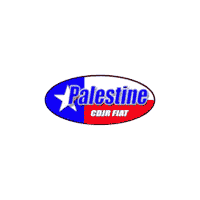 Palestine Chrysler Dodge Jeep RAM FIAT is proud to offer you a great selection of the popular Jeep Wrangler Unlimited SUV. This vehicle is a great way for you to take your adventuring to the next level. We can’t wait to show you all of the things the Wrangler Unlimited has to offer and our product specialists are standing by to serve you. We are well versed in all things Jeep so if you have any questions along the way don’t hesitate to contact us. We are available by phone, online or in person, any time to serve you. We can’t wait to share the Wrangler Unlimited with you and your family and we look forward to meeting you.